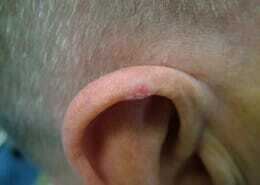 The pink nodule is found on the sun-exposed area of the outer ear. The nodule is tender and may therefore disturb sleep when lying on that side. It’s not known exactly what causes it. 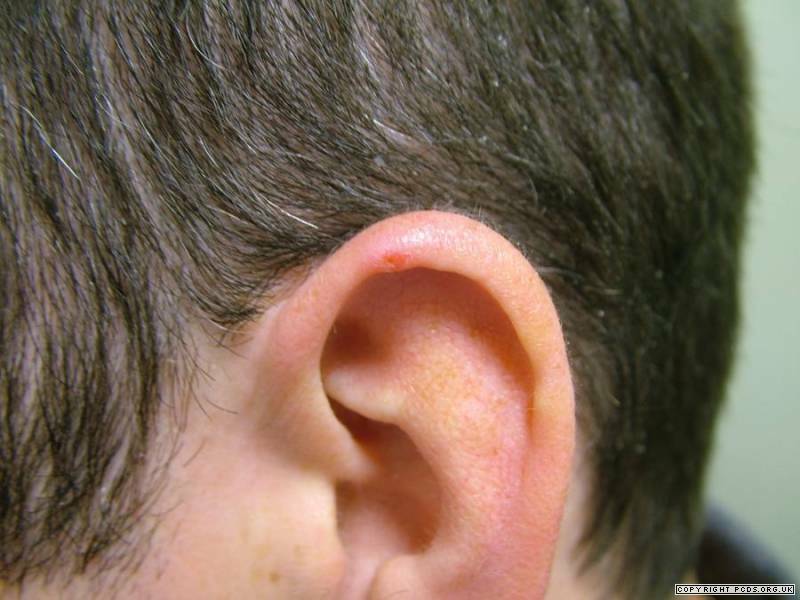 However, it is known that only small blood vessels in the dermis supply the outer skin (epidermis), the dermis & cartilage. There is little padding under the skin of the ear & it is thought that cold, chronic sun exposure, trauma or pressure from lying on that side may trigger inflammation of the skin of the ear. What does CNH Look like? 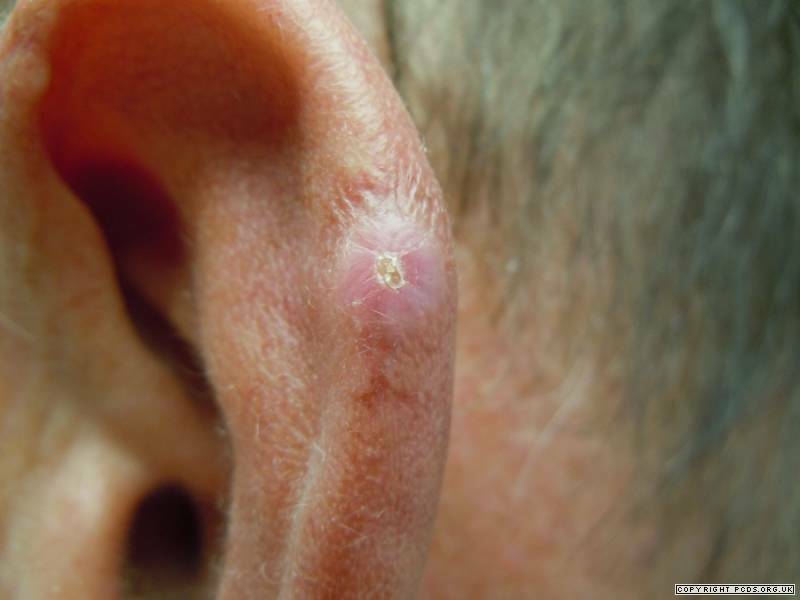 Chondrodermatitis occurs on the outer ear as a painful, scaly, skin-coloured nodule in adults. There is often a small ulcer in the middle of the nodule. The condition is around 4 to 5 times more common in men then women, and most commonly affects the right ear. 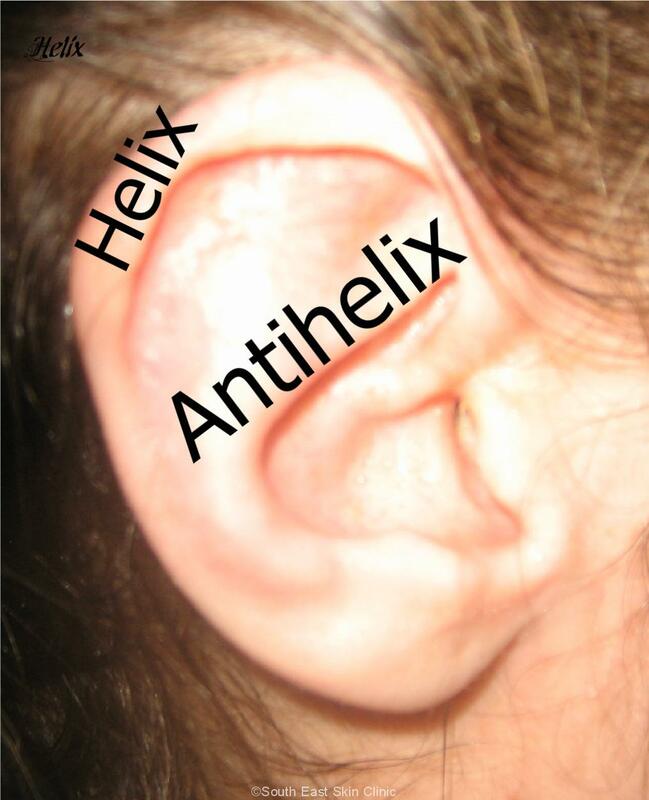 Although usually found on the helix in men, Chondrodermatitis tends to affect women on the Antehelix ¹.
Chondrodermatis is different from the common weathering nodule of the ear which occur commonly in older guys. These small nodules occur on the outer helix and are not sore or tender. 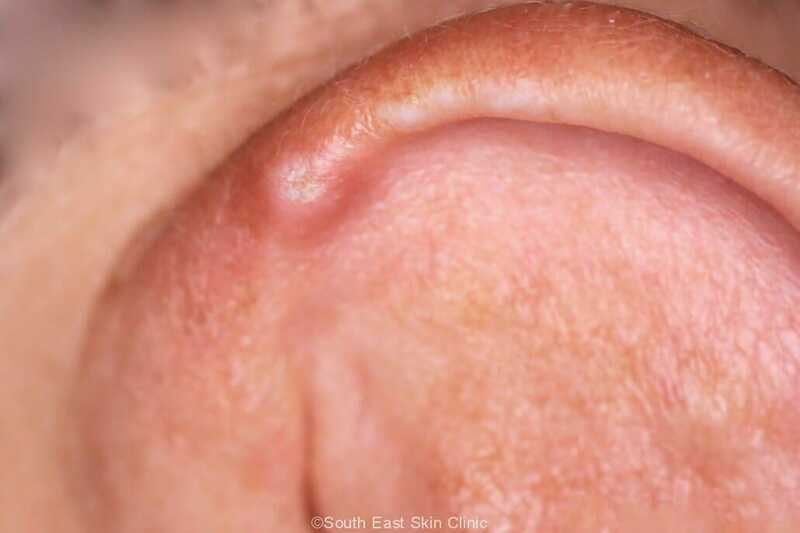 The problem in Australia is that Skin Cancers are also very common on the ear, particularly SCC & BCC, and they can look similar to Chondrodermatitis. How does Chondrodermatitis differ from Skin Cancers? There are features that make Chondrodermatitis more likely than a skin cancer & may make a biopsy unnecessary. It’s important to take into account overall risk of skin cancer. What is the treatment of Chondrodermatitis? 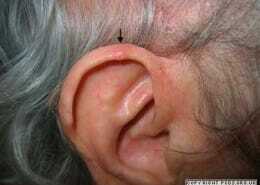 Firstly, can the lesion be confidently diagnosed? A skin biopsy may otherwise be necessary. One useful way of taking a biopsy is curettage because this will allow both treatment of the condition & provides samples for pathology. Up to 30% of lesions re-occur after surgery. Formal Excision (with sutures) down to cartilage will have the lowest recurrence rate. Freezing treatment (cryotherapy) is also an option. Steroid cream or Steroid injection may reduce the discomfort. Non-Surgical Treatments revolve around taking Pressure off the lesion at night. 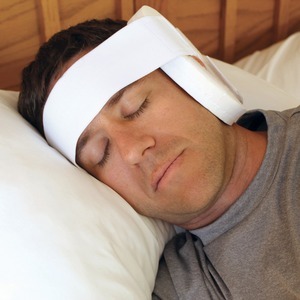 Pillows can be bought with a hole in them, or you can fashion a piece of foam or rubber with a hole in it, and wear this over the ear at night. The foam or sponge is hollowed-out so that the area affected lies in an air gap. It’s also important to avoid cold and use regular sun protection. 1: Munnoch DA et al; British Journal of plastic surgery 1996 Oct;49(7):473-6. 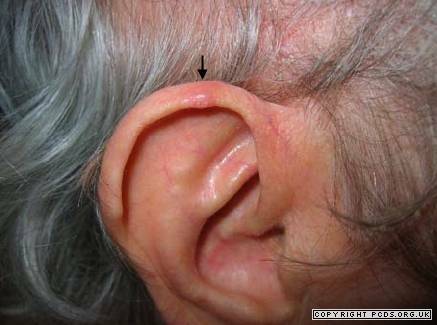 Chondrodermatitis of The Ear often looks very similar to an SCC.